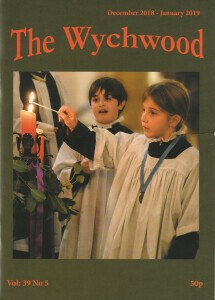 The Wychwood Magazine is highly regarded by our readers. The majority of the respondents, and maybe of our readers, are retired. Two areas of content led to very opposing views, namely obituaries and local history: while one reader wanted more obituaries – we assume he/she is not waiting on a particular individual! – another reader felt the obituaries were too long. And as regards the local history features, one reader felt we were too heavily biased towards such items, while two or three others clearly enjoyed articles about our local history. Three respondents indicated that they might be prepared to contribute articles in future; be assured, we will be in contact with them. Several respondents were impressed by our colour photos. Puzzles of one sort or another would be appreciated. One article which was named as a memorable one by three readers was John Miskin’s weather article. We love talking about the weather, and there is a lot of it about, so we will be encouraging other weather-related articles in the future. If you have any comments about these findings, or if the views prompt you to give us any further feedback about the magazine, please get in touch. And we are very pleased to announce that the winner of the £20 off the Coop shopping bill was Johnny Graham; thank you to him and to all who took part in this exercise.